Today's Family Now: Win Tickets to See 'Rudolph' on Stage! Win Tickets to See 'Rudolph' on Stage! Immerse yourself in the live version of a beloved TV classic with giveaway #7 in Today's Family magazine's 12 Giveaways of Christmas! 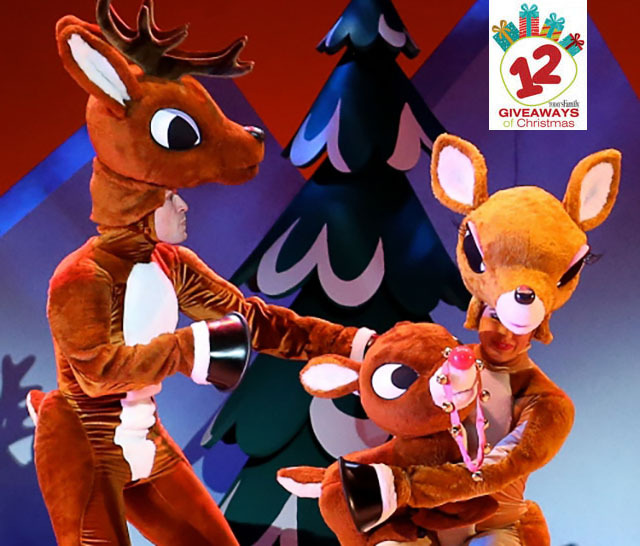 Enter to win 4 tickets to Rudolph the Red-Nosed Reindeer: The Musical on December 17 at The Kentucky Center. All of your favorite characters will soar off the screen and onto the stage in this heartwarming musical. It’s an adventure that teaches us that what makes you different can be what makes you special. Our winner is Dana Moore! When I hit submit it says the page cannot be found. Your entry is still counted! As long as you submit the form below and then receive a confirmation email saying that your entry has been received, you ARE entered for the giveaway. We are working to fix the page error issue that appears after the entry goes through. Thank you for letting us know!